Judith Jones, an editor, author and part-time Walden resident, died early Wednesday morning at her home in the Northeast Kingdom, according to her stepdaughter Bronwyn Dunne of South Burlington. The cause was complications from Alzheimer's disease. 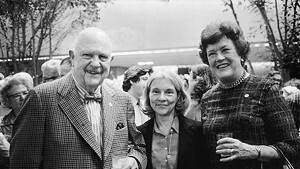 Jones was 93 and had worked as an editor at Alfred A. Knopf for more than half a century. She was perhaps best known for seeing to publication the manuscripts that would become the books Anne Frank: The Diary of a Young Girl and Mastering the Art of French Cooking by Julia Child. In a 2010 interview with this reporter , Jones described Child's cookbook as "manna from heaven." 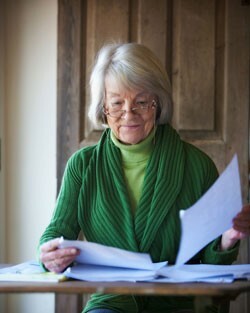 In addition to her work with cookbook writers, Jones was a literary editor who edited all the novels (and other books) by John Updike. Other authors Jones worked with include John Hersey and Anne Tyler. "I think her most important contribution was probably making cookbook writers be significant," Dunne said. "That is, she kind of blended her literary tradition with her interest in food. "There was this kind of marvelous thing that she loved the writer's voice," Dunne continued. "She felt that way about John Updike and she felt that way about Lidia Bastianich. It was very important that their voices be heard." Jones grew up in Manhattan and her primary home was in the city, but she had lifelong ties to Vermont. Her paternal grandparents lived in Montpelier, in the big white house on the corner of Bailey Avenue and State Street. As a child of 11 or 12 she left New York and the Brearley School for a year to live with her grandmother, a choice Jones made for herself, Dunne said. It was during childhood visits to her grandparents' home that Jones first gained an appreciation for food, she told Seven Days in a 2011 piece about a dinner in Greensboro to celebrate the 50th anniversary of the publication of Mastering the Art of French Cooking. Jones, a graduate of Bennington College, spent childhood summers in Montpelier and Greensboro. When her father was a boy, he and his family would travel by horse and cart to Greensboro, where they "tented" by Caspian Lake, Dunne said, a kind of precursor to camps as we know them today. Later, her family bought a farmhouse in Greensboro. In the summer of 1978, Jones and her late husband, Evan Jones, bought a home in the Kingdom with land that straddles Walden and Stannard. About a dozen years ago, Jones became interested in grass-fed beef and, with family members, she started to raise Belted Galloways and Angus on her land. The family sells four or five head a year — now strictly Angus — to Hardwick Beef. "They are gorgeous," said Michael Gourlay, a Connecticut man who runs the business with Chuck Lacy of Jericho. "I buy from them every year. I've always liked their animals." In the course of her life, Jones was witness to — and helped to shape — significant changes in the way Americans think about, produce and prepare their food. In 2010, after the publication of her book The Pleasures of Cooking for One, Jones talked about the evolution — describing it as an "opening up" — with this reporter, recollecting a conversation she had with Child. "Julia once said to me, 'Judith, you and I were born at the right time,' '' Jones recalled in the interview. "America was ready for this new message: We're aware of where our food comes from. I think that's quite a journey in that short time." Last summer at Jones' home in Walden, a forager arrived with chanterelles. Jones announced that she wanted to make mushroom toast, Dunne recalled. "It was so simple," Dunne said. "And so great." Funeral services for Jones will be held on Saturday, August 26, 11 a.m., at St. John the Baptist Episcopal Church in Hardwick.